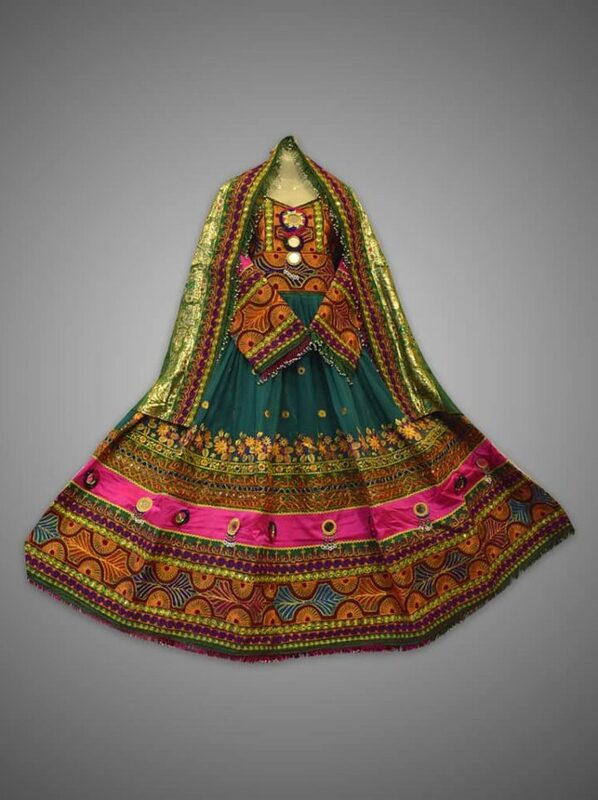 This gorgeous Afghan frock showcases a bright and fresh design. 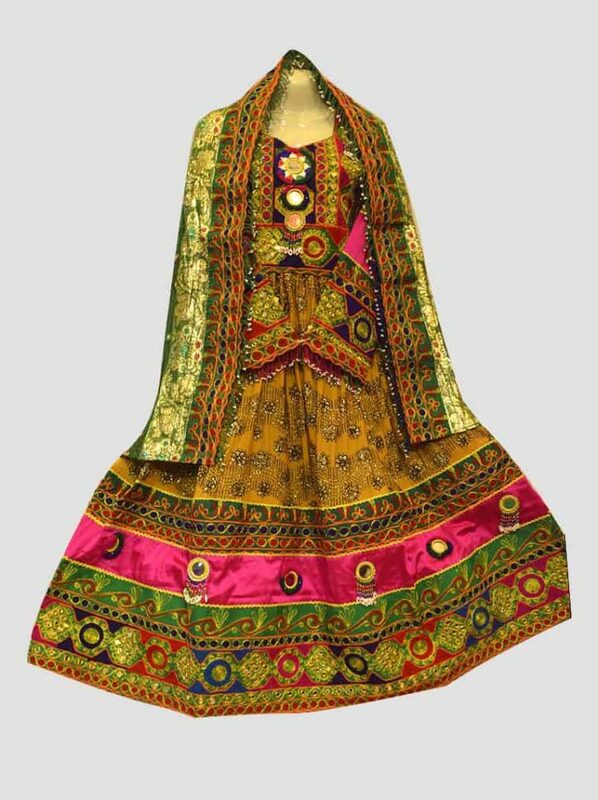 Where you can see a full embroidered frock and Shawl (Dupatta), that is paired with heavy thread work. 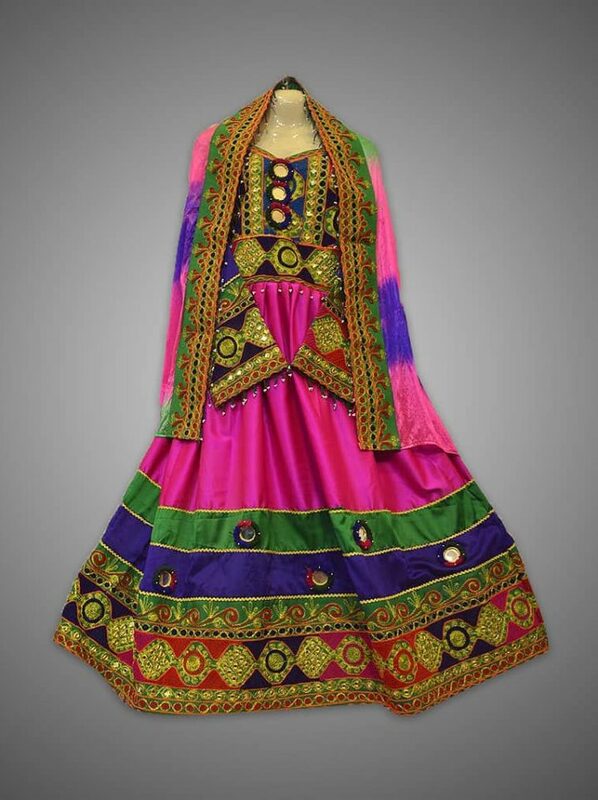 Moreover, the thread work offers a flawless finish, and uses vibrant and inviting colors. 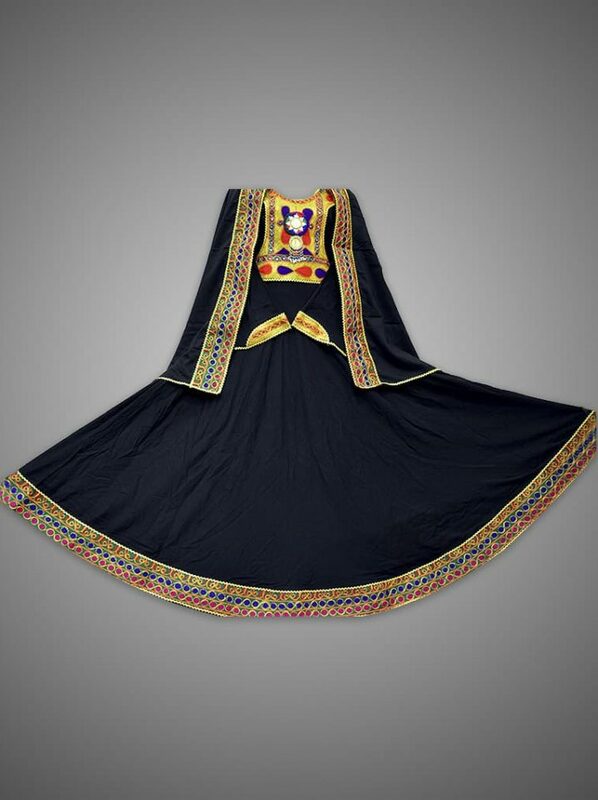 Making this full sleeved traditional Afghan dress a must have for your collection. 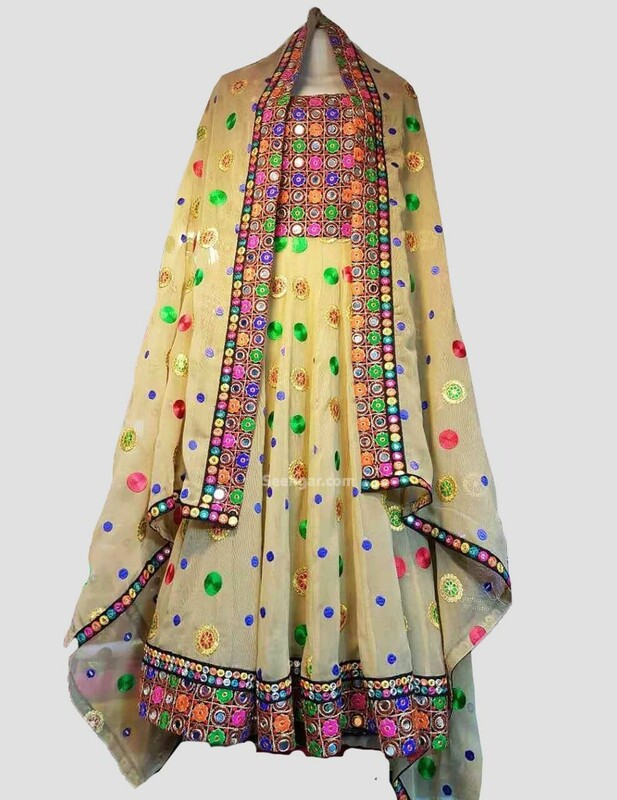 An easy way to look stunning at any family or friend’s wedding.